Drawing is one of the oldest forms of human expression within the visual arts. It is generally concerned with the marking of lines and areas of tone onto paper/other material, where the accurate representation of the visual world is expressed upon a plane surface. Traditional drawings were monochrome, or at least had little colour, while modern colored-pencil drawings may approach or cross a boundary between drawing and painting. In Western terminology, drawing is distinct from painting, even though similar media often are employed in both tasks. Dry media, normally associated with drawing, such as chalk, may be used in pastel paintings. Drawing may be done with a liquid medium, applied with brushes or pens. Similar supports likewise can serve both: painting generally involves the application of liquid paint onto prepared canvas or panels, but sometimes an underdrawing is drawn first on that same support. There are several categories of drawing, including figure drawing, cartooning, doodling, and freehand. There are also many drawing methods, such as line drawing, stippling, shading, the surrealist method of entopic graphomania (in which dots are made at the sites of impurities in a blank sheet of paper, and lines are then made between the dots), and tracing (drawing on a translucent paper, such as tracing paper, around the outline of preexisting shapes that show through the paper). Drawing is one of the oldest forms of human expression, with evidence for its existence preceding that of written communication. It is believed that drawing was used as a specialised form of communication before the invention of the written language, demonstrated by the production of cave and rock paintings around 30,000 years ago (Art of the Upper Paleolithic). These drawings, known as pictograms, depicted objects and abstract concepts. The sketches and paintings produced by Neolithic times were eventually stylised and simplified in to symbol systems (proto-writing) and eventually into early writing systems. Before the widespread availability of paper, 12th-century monks in European monasteries used intricate drawings to prepare illustrated, illuminated manuscripts on vellum and parchment. Drawing has also been used extensively in the field of science, as a method of discovery, understanding and explanation. In 1609, astronomer Galileo Galilei explained the changing phases of the moon through his observational telescopic drawings. In 1924, geophysicist Alfred Wegener used illustrations to visually demonstrate the origin of the continents. Drawing is used to express one's creativity, and therefore has been prominent in the world of art. Throughout much of history, drawing was regarded as the foundation for artistic practice. Initially, artists used and reused wooden tablets for the production of their drawings. Following the widespread availability of paper in the 14th century, the use of drawing in the arts increased. At this point, drawing was commonly used as a tool for thought and investigation, acting as a study medium whilst artists were preparing for their final pieces of work. 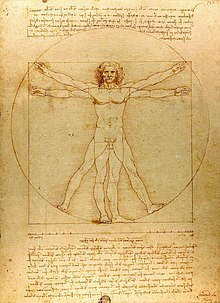 The Renaissance brought about a great sophistication in drawing techniques, enabling artists to represent things more realistically than before, and revealing an interest in geometry and philosophy. The invention of the first widely available form of photography led to a shift in the hierarchy of the arts. Photography offered an alternative to drawing as a method for accurately representing visual phenomena, and traditional drawing practice was given less emphasis as an essential skill for artists, particularly so in Western society. Drawing became significant as an art form around the late 15th century, with artists and master engravers such as Albrecht Dürer and Martin Schongauer (c. 1448-1491), the very first Northern engraver known by name. Schongauer came from Alsace, and was born into a family of goldsmiths. Albrecht Dürer, a master of the next generation, was also the son of a goldsmith. Old Master Drawings are often reflect the history of the country in which they were produced, and the fundamental characteristics of a nation at that time. In 17th-century Holland, a Protestant country, there were almost no religious artworks, and, with no King or court, most art was bought privately. Drawings of landscapes or genre scenes were often viewed not as sketches but as highly finished works of art. Italian drawings, however, show the influence of Catholicism and the Church, which played a major role in artistic patronage. The same is often true of French drawings, although in the 17th century the disciplines of French Classicism meant drawings were less Baroque than the more free Italian counterparts, which conveyed a greater sense of movement. In the 20th century Modernism encouraged "imaginative originality" and some artists' approach to drawing became less literal, more abstract. World-renowned artists such as Pablo Picasso, Andy Warhol and Jean-Michel Basquiat helped challenge the status quo, with drawing being very much at the centre of their practice, and often re-interpreting traditional technique. Basquiat's drawings were produced in many different mediums, most commonly ink, pencil, felt-tip or marker, and oil-stick, and he drew on any surface that came to hand, such as doors, clothing, refrigerators, walls and baseball helmets. Modern-day artists such as Tracey Emin observe the legacy and importance of drawing, engraving and print making techniques in their vast array, passed down through millennia. Paper comes in a variety of different sizes and qualities, ranging from newspaper grade up to high quality and relatively expensive paper sold as individual sheets. Papers vary in texture, hue, acidity, and strength when wet. Smooth paper is good for rendering fine detail, but a more "toothy" paper holds the drawing material better. Thus a coarser material is useful for producing deeper contrast. Acid-free, archival quality paper keeps its color and texture far longer than wood pulp based paper such as newsprint, which turns yellow and becomes brittle much sooner. The basic tools are a drawing board or table, pencil sharpener and eraser, and for ink drawing, blotting paper. Other tools used are circle compass, ruler, and set square. Fixative is used to prevent pencil and crayon marks from smudging. Drafting tape is used to secure paper to drawing surface, and also to mask an area to keep it free of accidental marks, such as sprayed or spattered materials and washes. An easel or slanted table is used to keep the drawing surface in a suitable position, which is generally more horizontal than the position used in painting. The artist's choice of drawing strokes affects the appearance of the image. Pen and ink drawings often use hatching – groups of parallel lines. Cross-hatching uses hatching in two or more different directions to create a darker tone. Broken hatching, or lines with intermittent breaks, form lighter tones – and controlling the density of the breaks achieves a gradation of tone. Stippling uses dots to produce tone, texture and shade. Different textures can be achieved depending on the method used to build tone. Motor control is an important physical component in the 'Production Phase' of the drawing process. It has been suggested that motor control plays a role in drawing ability, though its effects are not significant. It has been suggested that an individual's ability to perceive an object they are drawing is the most important stage in the drawing process. This suggestion is supported by the discovery of a robust relationship between perception and drawing ability. This evidence acted as the basis of Betty Edwards' how-to-draw book, Drawing on the Right Side of the Brain. Edwards aimed to teach her readers how to draw, based on the development of the reader's perceptual abilities. This has also been shown to influence one's ability to create visually accurate drawings. Short-term memory plays an important part in drawing as one's gaze shifts between the object they are drawing and the drawing itself. Some studies comparing artists to non-artists have found that artists spend more time thinking strategically while drawing. In particular, artists spend more time on 'metacognitive' activities such as considering different hypothetical plans for how they might progress with a drawing. ^ www.sbctc.edu (adapted). "Module 6: Media for 2-D Art" (PDF). Saylor.org. Retrieved 2 April 2012. ^ "the definition of draftsman". Retrieved 1 January 2017. ^ a b Tversky, B (2011). "Visualizing thought". Topics in Cognitive Science. 3 (3): 499–535. doi:10.1111/j.1756-8765.2010.01113.x. PMID 25164401. ^ Farthing, S (2011). "The Bigger Picture of Drawing" (PDF). ^ Robinson, A (2009). Writing and script: a very short introduction. New York: Oxford University Press. ^ a b c Kovats, T (2005). The Drawing Book. London: Black Dog Publishing. ^ Walker, J. F; Duff, L; Davies, J (2005). "Old Manuals and New Pencils". Drawing- The Process. Bristol: Intellect Books. ^ See the discussion on erasable drawing boards and 'tafeletten' in van de Wetering, Ernst. Rembrandt: The Painter at Work. ^ Burton, J. "Preface" (PDF). ^ Chamberlain, R (2013). "Drawing Conclusions: An exploration of the cognitive and neuroscientific foundations of representational drawing". ^ Davis, P; Duff, L; Davies, J (2005). "Drawing a Blank". Drawing – The Process. Bristol: Intellect Books. pp. 15–25. ^ Simmons, S (2011). "Philosophical Dimension of Drawing Instruction" (PDF). ^ Poe, E. A. (1840). The Daguerreotype. Classic Essays on Photography. New Haven, CN: Leete's Island Books. pp. 37–38. ^ "Old Master prints and engravings | Christie's". Retrieved 2018-04-20. ^ "Old Master drawings | Christie's". Retrieved 2018-04-20. ^ Duff, L; Davies, J (2005). Drawing – The Process. Bristol: Intellect Books. ^ Gompertz, Will (2009-02-12). "My life in art: How Jean-Michel Basquiat taught me to forget about technique". the Guardian. Retrieved 2018-04-20. ^ "boom for real: a dictionary of basquiat". I-d. 2017-09-26. Retrieved 2018-04-20. ^ Mayer, Ralph (1991). The Artist's Handbook of Materials and Techniques. Viking. ISBN 978-0-670-83701-4. ^ "The Amazing Art of Disabled Artists". Webdesigner Depot. 16 March 2010. Retrieved 1 January 2017. ^ Guptill, Arthur L. (1930). Drawing with Pen and Ink. New York: Reinhold Publishing Corporation. ^ Hale, Robert Beverly (1964). Drawing Lessons from the Great Masters (45th Anniversary ed.). Watson-Guptill Publications (published 2009). ISBN 978-0-8230-1401-9. ^ Watson, Ernest W. (1978). Course in Pencil Sketching: Four Books in One. New York: Van Nostrand Reinhold Company. pp. 167–75. ISBN 978-0-442-29229-4. ^ Ostrofsky, J (2011). "A Multi-Stage Attention Hypothesis of Drawing Ability" (PDF). ^ a b c d Cohen, D. J; Bennett, S. (1997). "Why can't most people draw what they see?". Journal of Experimental Psychology. 67 (6): 609–21. doi:10.1037/0096-1523.23.3.609. ^ van Somers, P (1989). "A system for drawing and drawing-related neuropsychology". Cognitive Neuropsychology. 6 (2): 117–64. doi:10.1080/02643298908253416. ^ Cohen, D. J.; Jones, H. E. (2008). "How shape constanct related to drawing accuracy" (PDF). The Psychology of Aesthetics, Creativity and the Arts. 2 (1): 8–19. doi:10.1037/1931-3896.2.1.8. ^ Edwards, B (1989). Drawing on the Right Side of the Brain. New York: Putnam. ISBN 978-1-58542-920-2. ^ Ruskin, John (1857). The Elements of Drawing. Mineola, NY: Dover Publishcations Inc.
^ McManus, I. C.; Chamberlain, R. S.; Loo, P.-K.; Rankin, Q.; Riley, H.; Brunswick, N. (2010). "Art students who cannot draw: exploring the relations between drawing ability, visual memory, accuracy of copying, and dyslexia" (PDF). Psychology of Aesthetics, Creativity and the Arts. 4: 18–30. CiteSeerX 10.1.1.654.5263. doi:10.1037/a0017335. ^ Fayena-Tawil, F.; Kozbelt, A.; Sitaras, S. (2011). "Think global, act local: A protocol analysis comparison of artists' and nonartists' cognitions, metacognitions, and evaluations while drawing". Psychology of Aesthetics, Creativity and the Arts. 5 (2): 135–45. doi:10.1037/a0021019. Bodley Gallery, New York, Modern master drawings, 1971, OCLC 37498294. Hillberry, J.D. Drawing Realistic Textures in Pencil, North Light Books, 1999, ISBN 0-89134-868-9. Lohan, Frank. Pen & Ink Techniques, Contemporary Books, 1978, ISBN 0-8092-7438-8. On Drawing, an essay about the craft of drawing, by artist Norman Nason. Archived from the original on April 25, 2012. Drawing in the Middle Ages A summary of how drawing was used as part of the artistic process in the Middle Ages.